Kumamoto Associates is a California-based, woman and minority-owned marketing, management, and communications consulting firm. Led by Joanne Kumamoto, Principal Partner, and Alan Kumamoto, Founding Partner, the company has operated successfully since 1989. Along the way, Kumamoto Associates has provided consulting services to nearly 100 clients and received numerous accolades for professionalism and for their contributions to the betterment of their community. Among their honors is the coveted National Public Relations Multi-Ethnic Award for creating a multi-media campaign, including a documentary, for the National Marrow Donor Program for Asian Pacific Americans and Native Americans. Dedicated to community involvement, she is experienced in identifying target neighborhoods and developing public information programs on housing, transportation, and ethnic communities. In addition, she is an expert in designing and implementing marketing programs and surveys, political campaigning, and conducting key informant interviews and focus groups. She has also developed and coordinated organizational, management and diversity training workshops for new and emerging Asian and Pacific Islander communities. Most recently, Joanne and Alan collaborated on an in-depth assessment project for the Los Angeles Department of Water and Power (LADWP). They also worked together on the multi-year Community Redevelopment Agency of L.A. (CRA) downtown parking study. They teamed to help create the Little Tokyo Design Guidelines for the CRA. She has participated in local community development and senior citizen data collection efforts, worked on a citywide hunger policy program, and served as project manager for a statewide public library collaborative project, Partnerships for Change, that brought local public libraries and ethnic minority populations together and spawned program innovations and improvements. Other clients include the Music Center for the Performing Arts of L.A., Long Beach Corridor, Hyperion Bridge Retrofit, L.A. County High School of the Arts, and L.A.-to-Pasadena Gold Line. Additionally, she played a key role in planning the Union Pacific Anniversary Celebration, Pasadena Recreation Department festivals, and numerous other cultural gatherings through Southern California. 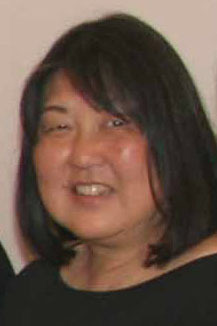 Joanne sits on the Board of Directors for the Coro Foundation as well as the Little Tokyo Business Association. She is a former Chair of the American Women for International Understanding (AIWU) and earned the organization's Bernice Behren Award. She was also Vice Chair and former Treasurer of American Humanics, Inc., California State University at Los Angeles, a Director of the L.A. Regional FoodBank; former City of L.A. Telecommunications Commissioner, a member of the L.A.-Pusan Sister City Committee, Joanne also co-chaired the Ethnic Coalition of Southern California and was appointed to the City's Telecommunications and Housing Authority Commissions. Joanne attended Ventura College and has received additional certification in Adult Learning from the University of Southern California; Fundraising, Program Planning and Proposal Writing from the Grantsmanship Center; and Computer Software proficiency from Apple Computers. 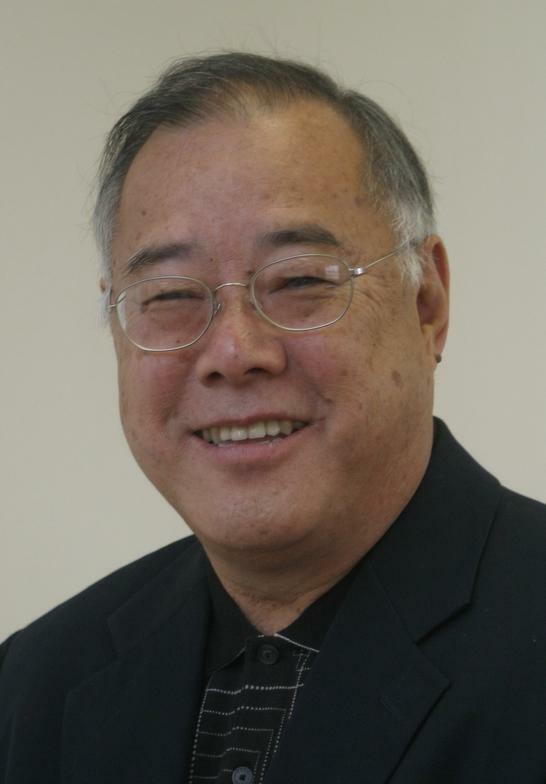 Alan Kumamoto possesses more than 35 years' experience in management consulting, community relations, resource development/fundraising, capacity building, visioning, action plan development, and human relations training. He is an internationally recognized facilitator and organizational management coach. His clients range from Fortune 500 companies to the U.S. State Department to national nonprofits. He also teaches a UCLA certification course in nonprofit management. A third-generation Angeleno raised in Los Angeles, Alan has worked in both the public and private sectors providing strategic business planning, community needs assessment and evaluation, board development, volunteer recruitment, program planning, resource development, proposal writing, coalition building and community outreach. He has worked as a consultant to the Ford Foundation's Working Capital Fund, San Francisco Foundation, San Francisco Multicultural Arts Initiative, Mayor's Neighborhood Crime Prevention Program, Bank of America Consumer Education Fund, and Union Bank Community Reinvestment Act Community Advisory Board. As Associate Project Director for a national minibike program, Alan managed a public/private partnership between the U.S. Department of Justice, Office of Juvenile Justice and Delinquency Prevention (OJJDP), American Honda, and the National Board of YMCAs. The delinquency prevention model operated in over 500 partnerships across the country. He also supervised a public awareness campaign in the Asian American communities for the City of L.A. Department of Airports "Ridelink" program. In addition to working with Joanne on the State Library's Partnerships for Change, he served on the California Arts Council Proposal Review Panel for Arts Services, City of L.A. Cultural Affairs Department, L.A. County Department of Children's Services, and Lancaster Performing Arts Center. He was also the Community Manager for the L.A. Neighborhood Initiative (LANI) Highland Park Project, a Federal Transit Administration effort to link transit corridors with local infrastructure and local residents, merchants, and public agencies. ​He is a past Chair of the National Council for International Visitors (NCIV) and was honored with its inaugural Citizen Diplomat Pillar Award. He led the NCIV's 50th anniversary task force and current sits on the Board of Directors. Additionally, he serves on the boards of the Heart Mountain Wyoming Foundation, Asian Pacific Community Fund, Japanese American Community Services (JACS), the Little Tokyo Community Council, and the Fulfillment Fund, Youth Opportunity United. He is also a Vice President of the Historic Cultural Neighborhood Council. ​Prior to forming Kumamoto Associates, Alan held positions in the public, nonprofit, and international business sectors. He was President and Executive Director of the Southern California Center for Nonprofit Management, a Senior Associate Trainer for the Grantsmanship Center, Youth Director for the National Japanese American Citizens League, and Interim Director of the Japanese American Cultural and Community Center. Alan graduated from Loyola University with a Bachelor of Arts degree in Sociology and went on to become a Master's candidate in Sociology at the University of Southern California.